Button with warrior. 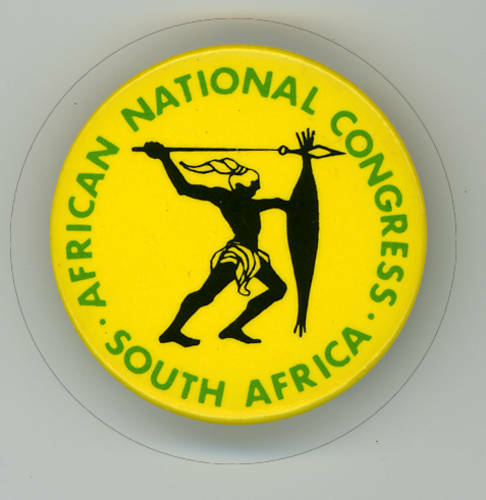 This button was produced by or on behalf of the African National Congress (ANC) of South Africa, possibly in Zambia. Size: 1 1/4 inches across.